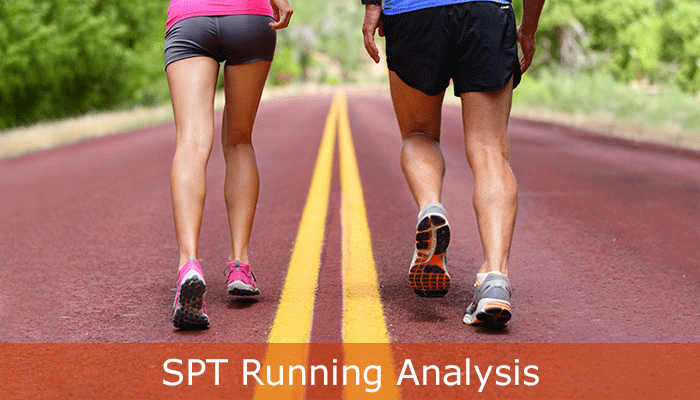 Specialized Physical Therapy offers a running specific, evidence-based biomechanical running analysis to identify what the untrained, naked eye cannot see. Designed by our physical therapists who are runners and gait analysis specialists, our evaluation is constructed to determine where your running gait might be breaking down, resulting in pain or inefficiency. The evaluation begins with video analysis of running-specific functional movements, followed by high speed video analysis of each phase of your running gait on the treadmill. Through this video analysis, we are able to identify any areas of muscle asymmetry, joint immobility or inflexibility, areas of mechanical risk, good/poor gait mechanics. Through the evaluation, you will have a better understanding of why you hurt when you run and how you can become a healthier, stronger, and faster runner with our help!